The healthcare industry has hailed the Modi government for capping 30 per cent margin on 42 drugs meant for the cancer patients. 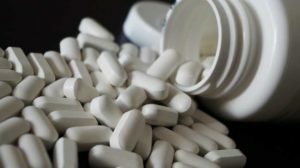 The industry insiders are of the opinion that it would help to lower the prices of these drugs by nearly 85 per cent — a huge relief to the public in general irrespective of rich or poor. However, they also said that there is a need for some additional steps like indigenising the cancer drug manufacturing and tax rebate to the companies involved in CSR activities for cancer patients. Dr BS Ajaikumar of the Healthcare Global Enterprises said that there should be a better distribution of income and purchasing power so that people can have access to products with the right price and get quality treatment at the right time. This will lead to better patient safety, good outcome, and India could be the leader in research and development in the medical field.